New Centennial High School Boys Junior Varsity Soccer Coach Leondro Conti has an old buddy on his coaching staff. In fact, Coach Conti first met his new assistant coach, Glenn Donovan, many years ago when they were both students at Pointers Run Elementary School. Years later, their friendship blossomed at Atholton High School as part of the Best Buddies program. 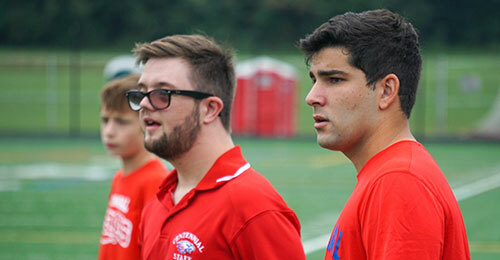 The Best Buddies program helps to build friendships between students with and without intellectual and developmental disabilities, and has become an inclusive social mentoring program in many Howard County public schools. 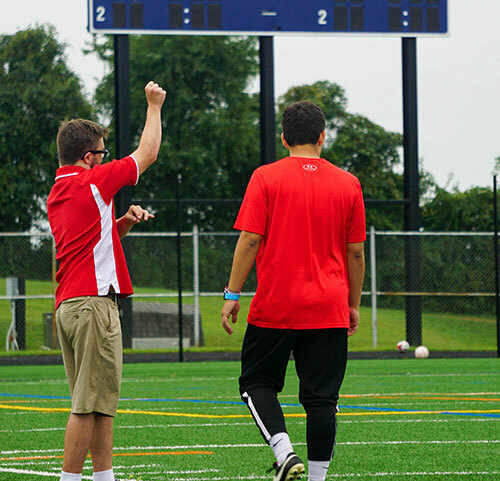 While Conti was playing soccer at Atholton, Donovan served as the team manager. “I would set up cones and get water for the team,” Donovan remembers. Now, Donovan is “Coach Glenn,” and he’s doing much more than setting up cones and getting water. 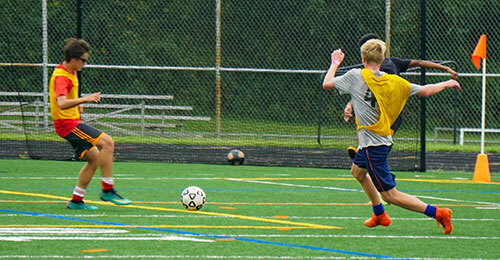 Centennial JV boys soccer is off to a winning start, but Coach Conti’s expectations in his first year coaching are “team building, relationship building and becoming friends off the field.” Coach Glenn has much higher expectations for his players and new head coach: “To be perfect,” he declared with a big smile.